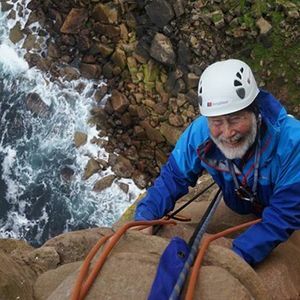 Sir Chris Bonington tells the extraordinary and very personal story of a life time journey of discovery, pushing the limits from his discovery of climbing at the age of sixteen through to repeating his epic first ascent of the Old Man Hoy to celebrate reaching the age of 80. In between are thrilling accounts of his first British ascent of the North Wall of the Eiger, Annapurna South Face, Everest South West Face, his epic first ascent of the Ogre with Doug Scott, one of the great survival stories of all time, and in more recent years sailing with Robin Knox-Johnston to climb an unclimbed peak. He introduces some of the great characters of the last sixty years – Hamish MacInnes, Tom Patey, Don Whillans, Dougal Haston, Doug Scott, Peter Boardman, Joe Tasker and many others. There are also insights into the challenges of making a living around climbing and bringing up a family. His spell binding narrative is illustrated with pictures and video clips from many of his climbs – making for a very special evening.